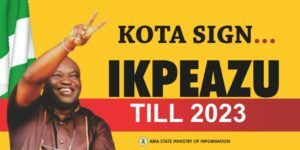 Since Rochas Okorocha first took office as governor of Imo State in 2011, followed by his reelection in 2015, it must have been a roller coaster ride for the state. The governor did not waste time to announce himself as controversial as shortly after his inauguration, he appointed sultry actress, Nkiru Sylvanus, as his Special Assistant on Lagos Affairs and comedian, Uche Ogbuagu, as his Special Assistant on Comedy. 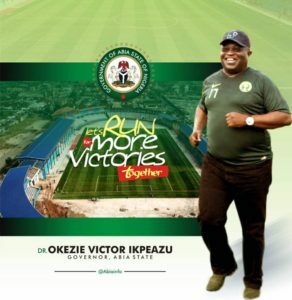 Some of his activities since then have made some Nigerians, including indigenes of Imo State, to describe his government as full of drama and sometimes, comedic moments. And if anyone was still in doubt that Okorocha was controversial, his brazen decision to erect statues for world leaders, including one for the former President of South Africa, Jacob Zuma, even while he was facing several corruption allegations in his home country, must have ended such uncertainties. Okorocha had invited Zuma, who was President of South Africa at the time, to Imo in October 2017 to finalise a partnership between their foundations —Rochas Okorocha Foundation and Jacob Zuma Foundation. But there was a very blurry line between whether the visit was a state and a private one as Zuma was treated to a state honour even though his mission was rather personal since it was about his foundation and Rochas’. During the visit, Okorocha also conferred on Zuma the Imo Merit Award, which is considered as the highest award in the state, named a street after him and gave him a chieftaincy title: Ochiagha di oha mma of Igboland (The people’s warrior). Apart from Zuma, an African leader that also had a statue of her unveiled by Okorocha during a similar visit to the state was the immediate former President of Liberia, Ellen Johnson-Sirleaf. A chieftaincy title – Ada di oha mma – was also conferred on Johnson-Sirleaf by Okorocha. But not long after that, Okorocha appointed his sister, Ogechi Ololo, as the state Commissioner for Happiness and Purpose Fulfilment. 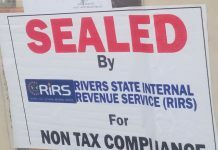 Two things regarding the appointment failed to resonate with some members of the public, including residents of the state, leading to the mockery and ridicule of the state government. One, some people openly expressed their disappointment with the creation of the office, which they considered to be needless and a waste of public funds. Two, many people criticised the action of the state governor, describing it as nepotism, cronyism and favouritism. So when recently, the governor openly backed his son-in-law, Uche Nwosu, to succeed him as governor in 2019, allegations of Okorocha running a government of nepotism and cronyism were once again rife. Okorocha had said that despite stiff opposition across the state, he would support Nwosu to succeed him as governor in 2019 if he declared an interest in the governorship seat. A statement issued by the Chief Press Secretary to the Governor, Sam Onwuemeodo, had noted the development recently. The statement quoted Okorocha as saying, “Uche Nwosu is hardworking, and never gets tired. He is a very humble young man. Not proud. Not arrogant. So, power won’t enter his head. In spite of the position he occupies, you can’t see him quarrelling with anybody or maltreating anybody. 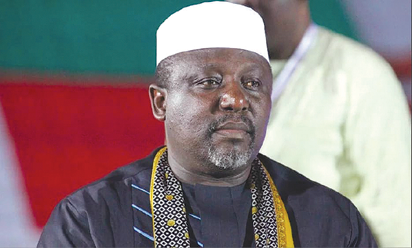 Okorocha’s push for his son-in-law to succeed him has been described by some political players and analysts in the state as an insult, saying it would be like adding salt to injury. They said it would be the ultimate height of nepotism and cronyism by the Okorocha-led government in Imo State. For instance, apart from being the governor’s chief of staff, Nwosu was formerly the state Commissioner for Lands and Housing. Okorocha’s sister, Ogechi, who was recently appointed Commissioner for Happiness and Purpose Fulfilment, is also the governor’s Deputy Chief of Staff and his Special Adviser on Domestic Affairs. 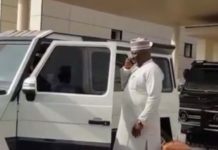 The Minister of State for Education, Prof. Anthony Anwukah, who was the state government’s nominee for the Federal Executive Council seat, is also Okorocha’s in-law as his son, Uzo, is married to the governor’s second daughter, Uju. The governor had in July 2017, appointed Anwukah’s wife, Justice Christiana Anwukah, as the President, Imo State Customary Court of Appeal. 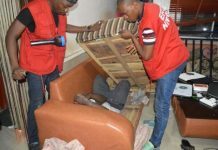 A lawyer and former member of the House of Representatives, Uche Onyeagocha, however, alleged the situation was worse than being reported. Onyeagocha, who was Special Adviser to Okorocha on Policy and Strategy and the All Progressives Congress’ senatorial candidate in the 2015 elections, said, “Whatever allegations of nepotism that are reported about him and his appointments are very true. It’s true that his son-in-law is his chief of staff; his youngest sister is his deputy chief of staff and doubles as his special adviser on domestic affairs. She was the one that was recently appointed Commissioner for Happiness and Purpose Fulfilment. The Minister of State for Education (Anthony Anwukah) is also his in-law. The son of Anwuka is married to his second daughter. 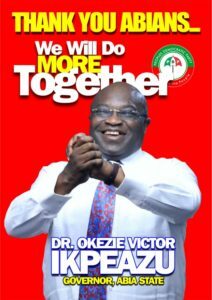 Onyeagocha also alleged that the Vice-Chancellor of Imo State University, Prof. Adaobi Obasi, is also an aunt to the governor. He, however, added that he believed that Imo people would resist any move by Okorocha to have his son-in-law succeed him, especially as it was against an unwritten zoning arrangement in the state. 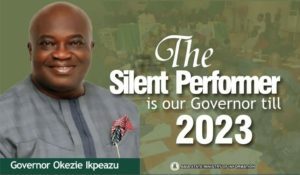 The zoning arrangement in the state seeks to rotate governorship seat among three zones- Orlu with 12 local government areas; Owerri, nine LGAs; and Okigwe, six LGAs. But since the current democratic dispensation started in 1999, only Orlu and Okigwe zones have produced governors and political analysts in the state noted that with Okorocha from Orlu zone, it would be wrong for the state to have his son-in-law, who is from the same zone, to succeed him. They alleged that Okorocha’s push for Nwosu to succeed him smacked of desperation to leave a trusted member of his family behind to cover up his tracks when he would be out office in 2019. Ikeokwu said, “He wants his son-in-law and he doesn’t trust anyone else other than his son-in-law because he is someone who has been driven by his bloated ego and quest for praise and adulation. He uses power wrongly so he knows what it means when you lose power. 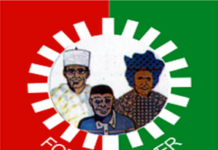 Ikeokwu, however, added that Imo people had allowed “Okorocha’s idiosyncrasies” to continue because of lack of unity among leaders in the state and the opposition. He said, “In late 2015, I went to confront him about his plan to have his son-in-law succeed him. I said to him, please don’t do it, he got angry with me. “In 2016, I went back to him and told him we would resist him, but he said nobody in the state had enough money to fight him. In June 2017, I addressed my first major press conference on the matter at the Nigeria Union of Journalists’ Press Centre in Owerri, where I announced that he wanted to run for governor for a third term, hiding at the back of his son-in-law. I stated that he would be resisted. “One of the instruments with which you can use to hoodwink people is religion. When the governor came into power, he hid behind religion and made people believe he was a very good Christian. Throughout his first tenure, there was an unwritten rule that whenever it was 12 noon, you had to stop whatever you were doing and pray. He continued, “Yes, there is no established or written law that says that your brother-in-law or son-in-law, for instance, cannot take over from you, but good conscience, equity, fairness and godliness should let any man know that having occupied a position as exalted as that of a governor for eight years, it is sheer wickedness to begin to work towards your relation taking over from you. “You cannot expect the state commissioner for information to say otherwise, do you want him to lose his job or his source of livelihood as there is so much hunger in the land? He that pays the piper calls the tune. But I know that majority of Imo people are against his son-in-law succeeding him. He said, “This man came in, making people believe that he was a rich man, philanthropist and a fighter of the masses, but his coming to power is now part of Imo State’s ugly history. The Imo Transport Company that he met here has been given out to his brother (to manage). They collect the tolls and he has not added any vehicle to the fleet other than what he met on the ground.